Invertebral Differential Dynamics (IDD) Therapy is the fastest growing non-invasive treatment for chronic back pain, neck pain and leg pain, in particular herniated discs and sciatica. IDD Therapy delivers a precise and more consistent treatment than is possible with the hands alone or with traditional traction treatments. Lido Physio and Spinal clinic is the only clinic to offer IDD Therapy in Jersey. Patients are fully assessed before embarking on a course of IDD Therapy. This includes a review of current or recent MRI or other suitable scan. IDD treatment is gentle and safe and delivered by the Accu SPINA machine. Sessions begin with some Thermedic infrared heat therapy on the lower back to 'warm up' the muscles and ligaments. During the session patients wear ergonomic harnesses which are connected to the pelvis and upper back. The machine tilts so that patients can get onto the treatment bed without added pain or difficulty. 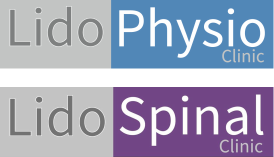 A series of computer-controlled pulling forces are gradually applied at precise angles to gently distract the vertebrae surrounding a targeted disc. Patients remain completely relaxed during the 25 minute session on the SPINA machine. At the end of the session some cold therapy is applied to minimise any temporary soreness which may be caused by muscles being worked in a new way. ​Gentle exercise and activity are gradually introduced as treatment progresses as this is very important for long-term pain relief. Typical candidates for IDD Therapy are people who have had back or neck pain for three months and have not responded to manual therapy and exercise. ​Current treatment is not working. Want to stop taking painkillers. ​Want to return to normal daily activities.